(SAINT JOSEPH, Mo., June 1, 2017) BioZyme® Inc., the maker of brands like Sure Champ® and Vita Charge®, is excited to welcome a marketing and communications intern to its team this summer. 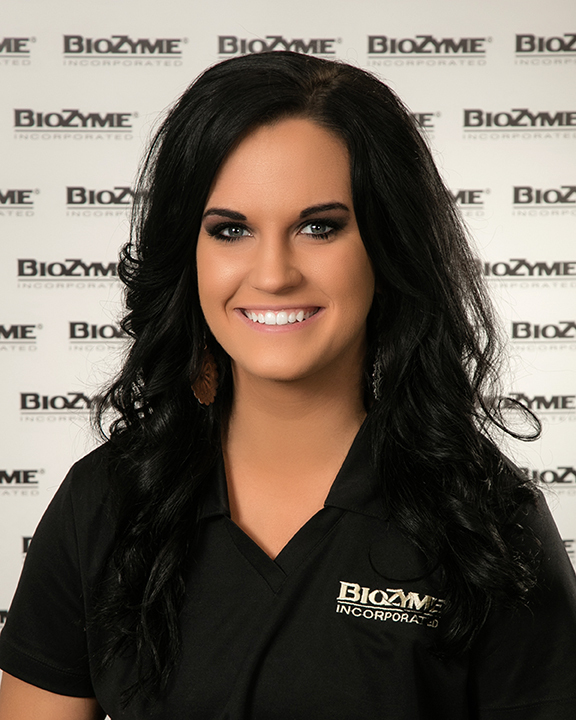 Ailee Langdon, Anamosa, Iowa, will represent BioZyme and its various product lines at events across the United States. “The internships are another way BioZyme can support young people interested in agriculture,” said Crystal Blin, Marketing Programs Manager for BioZyme. “Our summer intern is confident, mature and brings to the table a lot of experience gained from past internships.” Langdon will work to promote the brands and the company on the Sure Champ Junior National Tour. She will gain experience in event planning and coordination, marketing, communications, and leadership. In addition to providing social media presence at the Junior Nationals and visiting with producers and exhibitors at the Sure Champ booth at various shows across the country. She will also help oversee the Junior National Mini-internship participants, something new to BioZyme in 2017. Langdon is the 7th generation in her family to have grown up in an agricultural setting producing beef and row crops. She was heavily involved in youth programs, and showed Foundation Simmental, Charolais and Maine-Anjou heifers while maintaining various leadership positions in 4-H and FFA. “I am looking forward to meeting producers all over the country to help educate them on the proven BioZyme products to give them the opportunity to enhance their operations. BioZyme has a great reputation in this industry and amazes me with their dedication to constant research and belief in each of their products,” said Langdon, who has used BioZyme products on her own livestock. A recent graduate with an A.A.S degree in Agriculture Business from Kirkwood Community College, Langdon is always working to expand her knowledge base. She is honored to be a part of the BioZyme team and is looking forward to a great summer. This is the sixth year for the marketing and communications summer internship at BioZyme. The interns are based in Saint Joseph, Mo., but will travel extensively to Junior National shows across the country. Stop and say hello to her if you see her out and about at a Junior National or livestock event!